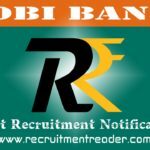 Latest Corporation Bank Recruitment Notification 2019 – Corporation Bank (Corp Bank) invites applications from retired bank officers/ Clerk or retired central/ state govt. employees in Group A, B & C (Officers/ Clerks) for Aadhaar enrollment/ updation work. The Bank announced vacancies in the following branches, Madikeri, Virajpet, Hassan, Mandya, Chennarayapatna, T.Narasipur, Chamarajanagar, Mysore-Ramakrishnanagar. Eligible candidates may apply for the current job opening through proper channel in prescribed format. The Application format can be downloaded from the Corp Bank Careers. Candidates are requested to forward their applications to Zonal Office, Mysore on or before 10.04.2019 (5:00 PM). Candidates who have below the age of 65 years and familiar with basic computer knowledge are eligible to apply. Before apply for the job vacancy, candidates should ensure that they fulfil the eligibility criteria given in the bank notification. Also be aware of job profile, job requirement, job location, selection process and application process from the advertisement. Applications reached after the last date will not be considered. So, submit the applications on or before the last date. Logon to Corporation Bank website and then locate Careers page. In Careers, find notification for Aadhar enrollement/ updation work (Mysore Zone). Find upcoming Corporation Bank recruitment notifications @ Recruitment Reader. 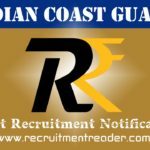 For more details regarding Corporation Bank Recruitment Notification 2019 logon to corpbank.com. The information given above is based on the Corp Bank official advertisement. Corporation Bank (Corp Bank) invites applications from retired bank officers/ Clerk or retired central/ state govt. 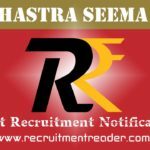 employees (Group A, B & C) for Aadhaar enrolment/ updation work. 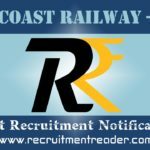 The Bank announced vacancies in the following branches, Ajekar, Ambalpady, Gopady, Karkala-Market Road, Kadur, Sagar BH Road, Shivamogga-Gopalagowda and Chikmagalur-Kalyana Nagar. Candidates who have below the age of 65 years and familiar with basic computer knowledge are eligible to apply. Eligible candidates may apply for the current job opening through proper channel in prescribed format. The Application format can be downloaded from the Corp Bank Careers. Candidates are requested to forward their applications to Zonal Office, Udupi. So, submit the applications on or before the last date. Selected candidates will have remuneration of ₹10,000/- per month. In Careers, find notification for Aadhar enrollement/ updation work. 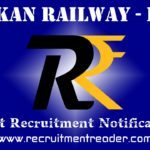 For more details regarding Corporation Bank Recruitment Notification 2018 logon to corpbank.com. The information given above is based on the Corp Bank official advertisement.